Ivy Bakery in New York City is ready for the Super Bowl, with super bowl cupcake and food packages! 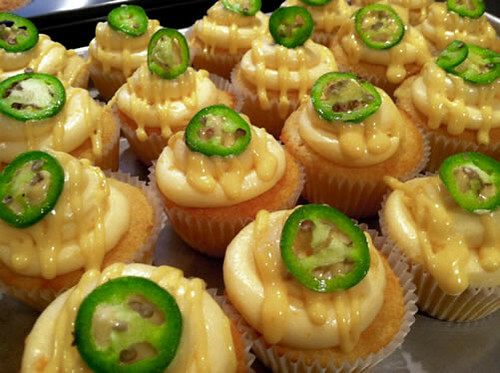 Amongst their special Super Bowl cupcakes, in addition to football cupcakes, they've got nacho cheese cupcakes (pictured), pepperoni pizza cupcakes and buffalo chicken cupcakes. Visit ivybakery.com or their Facebook page for more information, contact them at mail at ivybakery.com or 347-598-3452 and sign up for their newsletter to keep up with their latest offerings. Wow, pizza in a cupcakes!! its amazing and I love it. Thanks for sharing this.